Happy Birthday to ME!! My friend Didi is here, and I can't think of a more perfect birthday gift!! I admire her as a blogger, mother, friend - but today it's all about her love of running, and the creative running attire she wears for all of her runDisney events. Enough from me, here's Didi. Me, creative?? 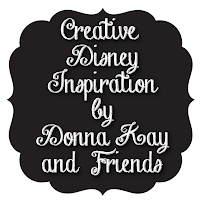 I am always envious of my pals, like Donna, who are inspired, crafty and have an artful sensibility. She MADE this for me- just because. My patients love it!! I have always preferred function over form- until runDisney, that is. It only took one race, one race watching the fun and WOWaround me, for me to get my "costume on". Mine is an evolutionary process, and where it will lead only the next great runDisney race can predict! Mind you, at my age I need to consider the practical; I will not run without compression garments, as support and veinous return are key to survival. But a hint of fun and sparkle have become increasingly important to my Peter Pan self! My plotting usually begins with a color scheme. If I am running with a team, I work with the singlet colors. Otherwise, I always look at the medal and ribbon color and start there. Next, of course, is the race theme coordination. Thankfully, runDisney makes this a no-brainer, even for me! Running for Team Up! with Autism Speaks required wings and a tutu in a fairy-scape that matched my singlet. I found both on Etsy, my absolute favorite place to shop pre-race. Another option? A matching cape, of course, complete with my son's photo attached. (He is my superhero, and the very reason I run, after all.) A simple Google search for capes will do the trick. In keeping with race personality, I chose my attire for Disney Wine & Dine Half Marathon with food in mind. 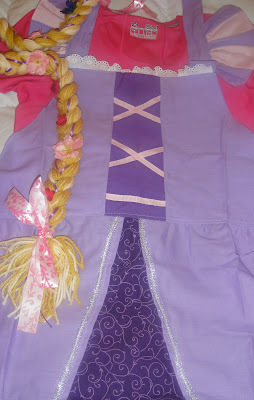 I headed back to Pinterest looking for aprons, and could not believe the princess selections! Etsy supplied my "braids" (attached to an elastic hair fastener), and I was ready to run for my very first runDisney Coast to Coast Race Challenge Rapunzel-style. Finally, I had the opportunity to run in my Team Sparkle skirt, and dressing it up to match my inner Cinderella was as easy as finding a soft black headband at the local CVS, and ordering CSS Custom Sport Sleeves . (As a physical therapist, I can share that customizing your arm or leg sleeves to provide just the right compression makes a huge difference both during and after your race.) 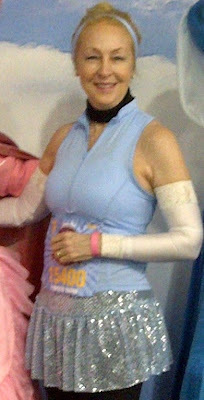 If you are ever stuck for race costume ideas, search the Team Sparkle site for many, many disney-inspired outfits. 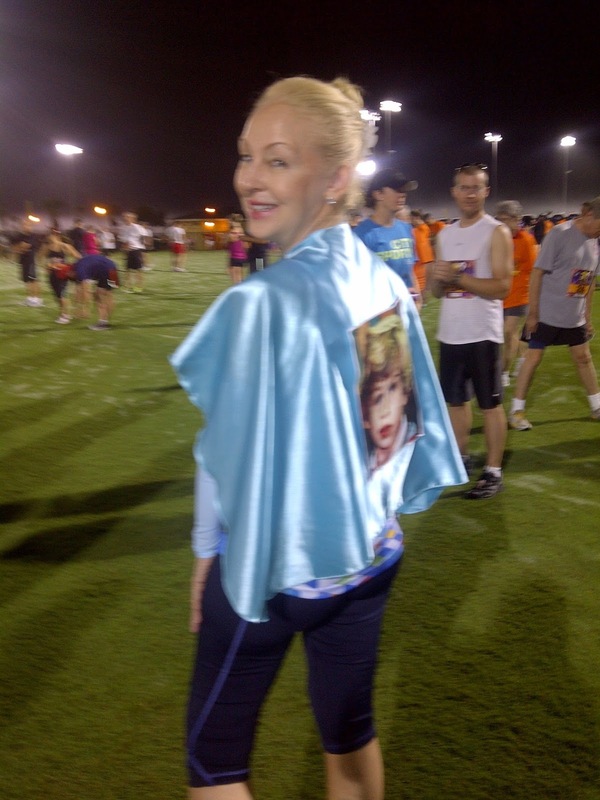 runDisney harnesses not only the inner warrior but the inner child; in absolutely anyone. Come play dress up with me! Thanks so much Didi!! I still want to be just like you, if I ever decide to grow up... Please stop by and say HI!! to Didi at DIStherapy, Facebook and Twitter and you will see why. 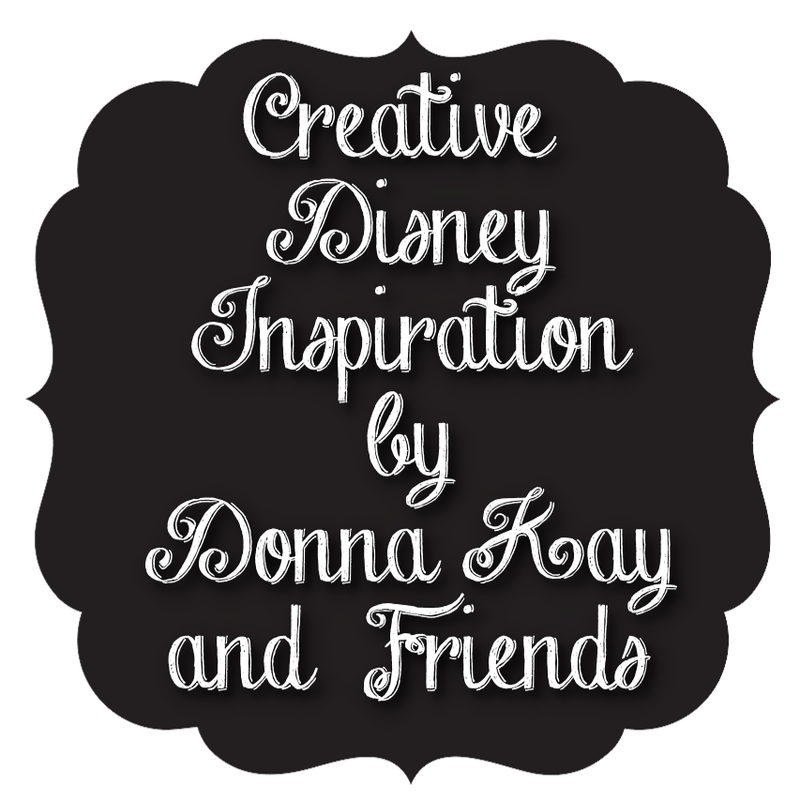 Hope you have enjoyed this 17th installment of Creative Disney Inspiration, as always if you make any of the projects please share them on the Disney Donna Kay Facebook page. I would love to see them!! Happy birthday fellow princess, (and you know have the tiara to prove it)! I am so thrilled that you asked me to explore my non-artsy side. Proof again that runDisney works its magic on young and old, talented and, well, those with limited creative juices. It's all good- and that includes being 5-0!!! Love it Didi, not only are you a super runner and a great inspiration you are an incredibly creative costume designer! Happy Birthday dear Donna Kay!! I hope your day is filled with much pixie dust!! Donna, you are such an inspiration and so happy you are here helping Donna Kay celebrate on her birthday! 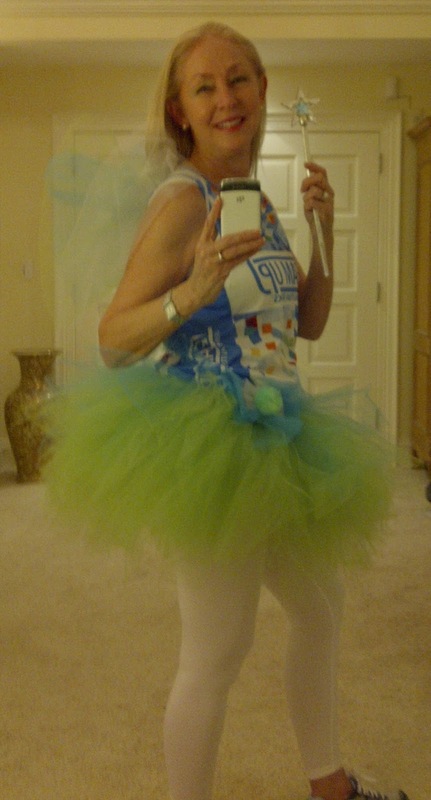 :-) I look forward to my first runDisney event and I know I will be coming to you for costume inspirations! Thanks Beth! I just love Didi and she was so sweet to help me celebrate my big birthday. I am so lucky to have such wonderful Disney friends!! Especially you two! !